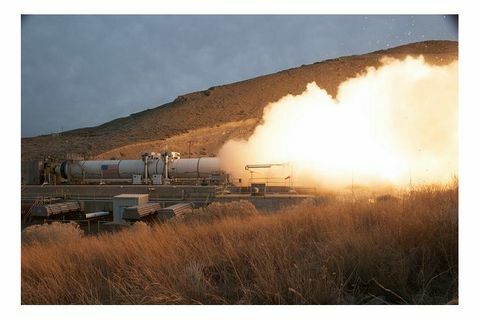 A large crowd comprised of media, industry, space enthusiasts and the general public gathered on March 11 at Orbital ATK’s test facility in Promontory, Utah, to witness the first qualification ground test of the five-segment rocket motor that will be used for NASA’s heavy-lift Space Launch System. The successful pre-flight test, known as Qualification Motor 1 (QM-1), fired on schedule in a flawless display of smoke and fire against the early morning sky. Initial data from the test indicate the motor performed as designed and delivered the anticipated performance. 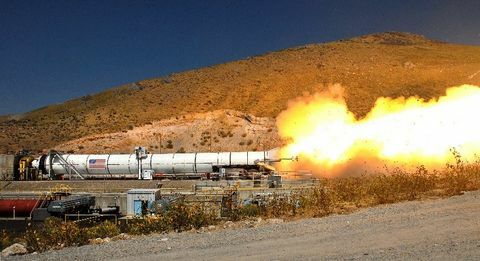 The rocket motor produced approximately 3.6 million pounds of thrust, or 22 million horsepower, and burned for just over two minutes. 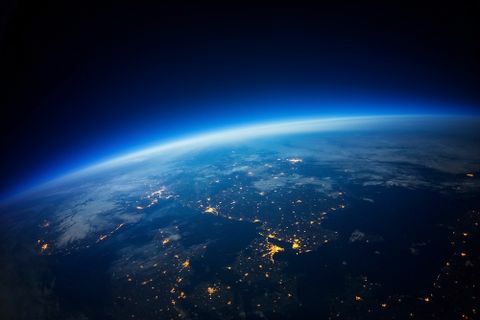 More data will be available as post-test analysis is accomplished on the 102 design objectives that are supported by 531 instrumentation channels. 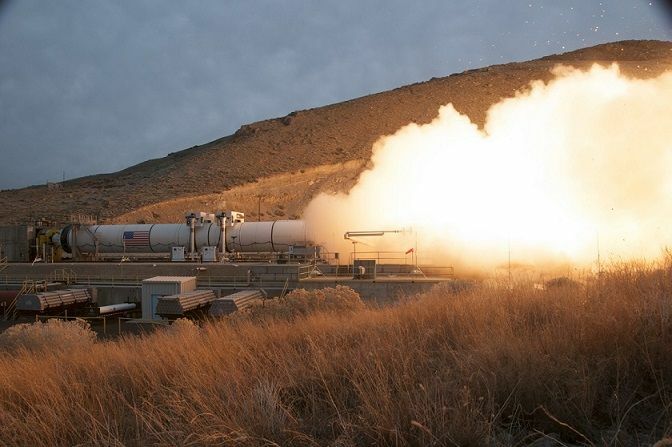 Measuring 12 feet in diameter and 154 feet in length, Orbital ATK’s five-segment motor is the largest human-rated solid rocket motor built today. When it is fully assembled as a booster, it will be 177 feet tall (approximately 17 stories). It produces 20 percent more power than the previously-used four-segment motor, and it also uses new materials that provide cost and weight savings. The five-segment motor was designed to maximize safety while providing an affordable and reliable launch capability for human missions deeper in the solar system than we have ever gone before – including to the surface of Mars. 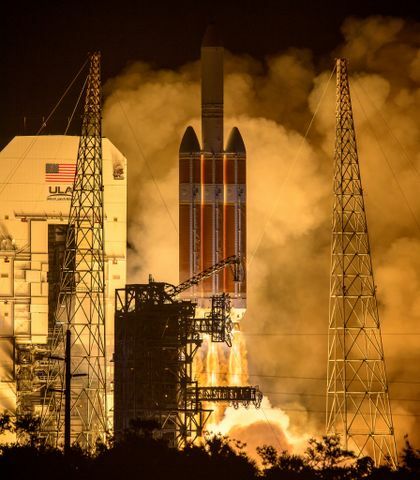 NASA’s SLS will launch on its first mission, Exploration Mission-1, in just a few years. The next major static fire test for the rocket booster, called QM-2, will occur at the Promontory facility in the spring of 2016. This test will be a cold test, where the booster will be conditioned to 40 degrees -- the low-end temperature parameter for the booster. NASA and Orbital ATK conducted the first qualification ground test (QM-1) of the five-segment rocket motor that will be used for NASA’s heavy-lift Space Launch System. SLS will enable exciting new exploration missions across the solar system.